Fall is here! 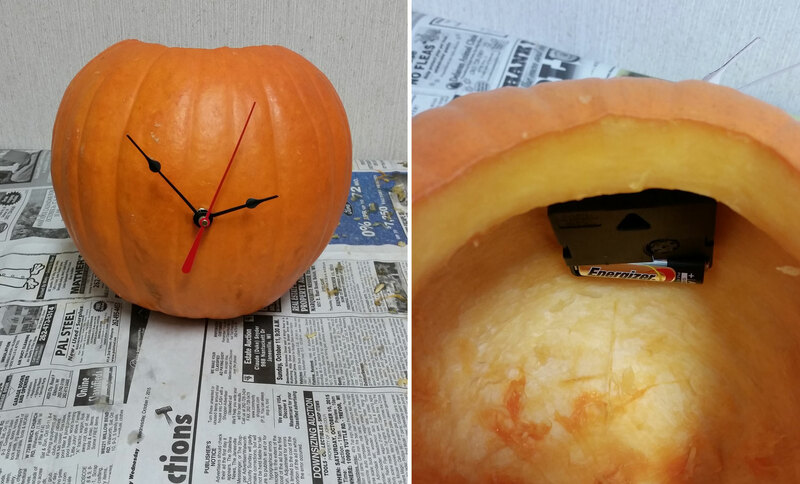 To kick things off, we wanted to share with you how to make a Pumpkin Clock. 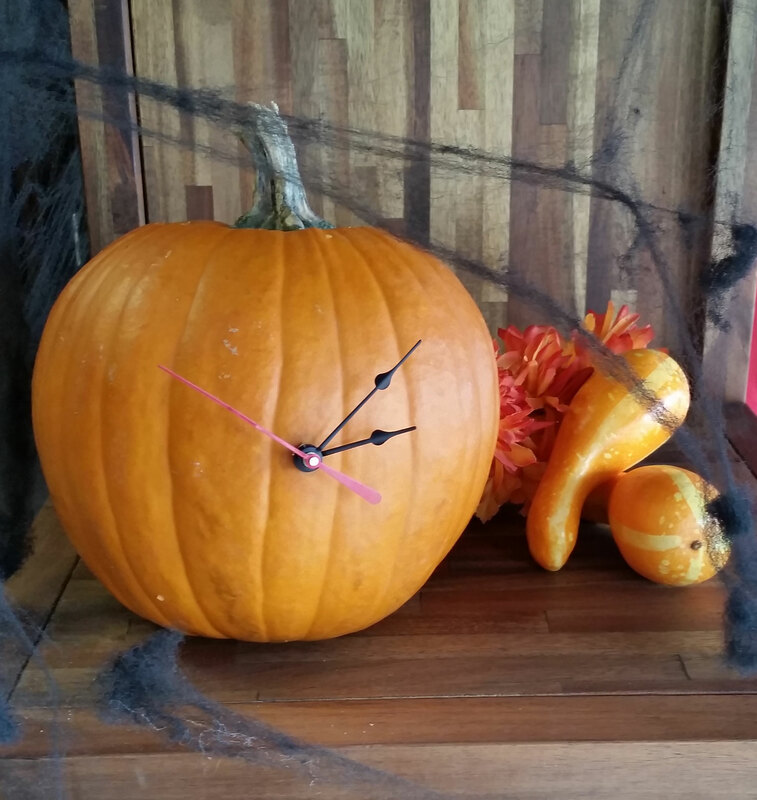 We’ve created this step-by-step guide to help you create the perfect DIY pumpkin clock! Optional: Newspaper, paint, stencils, or numerals. 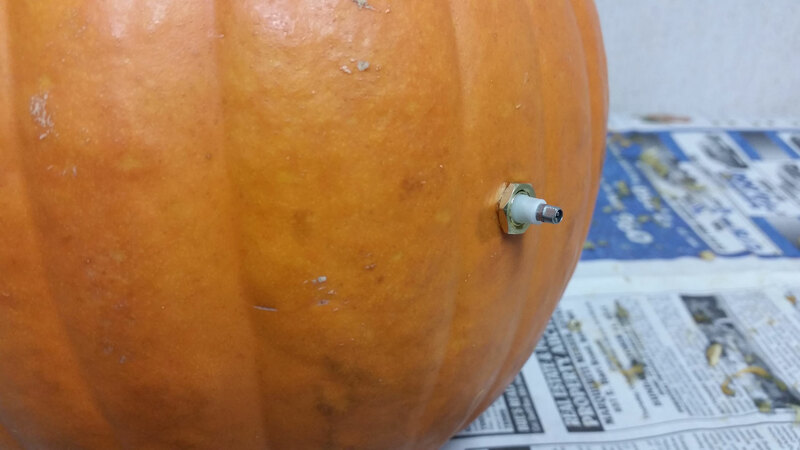 Spread the newspaper out on your table and place the pumpkin on top of it. 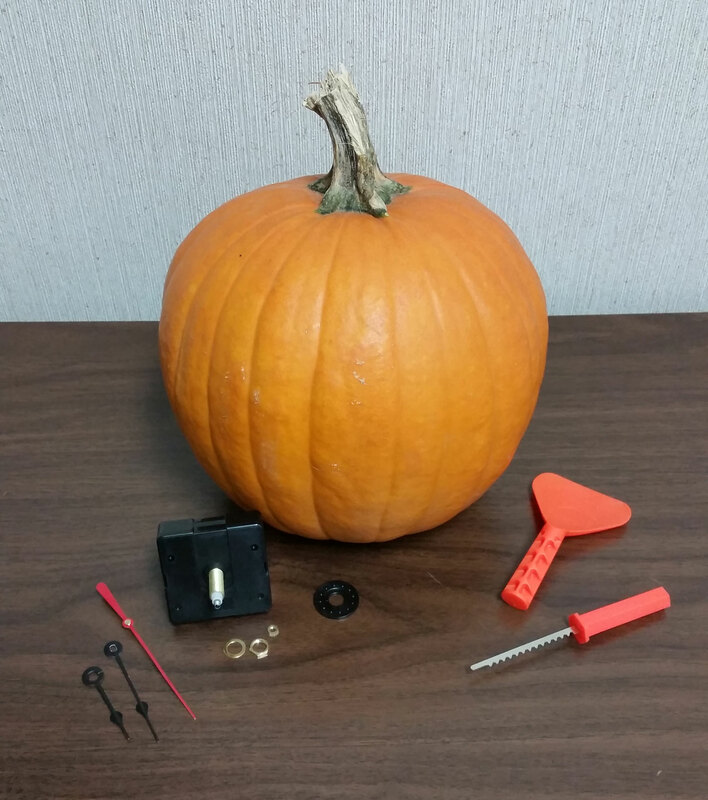 Use a knife or pumpkin carving tool to cut a 3 to 4 inch hole in the top of your pumpkin. Ready to get messy? 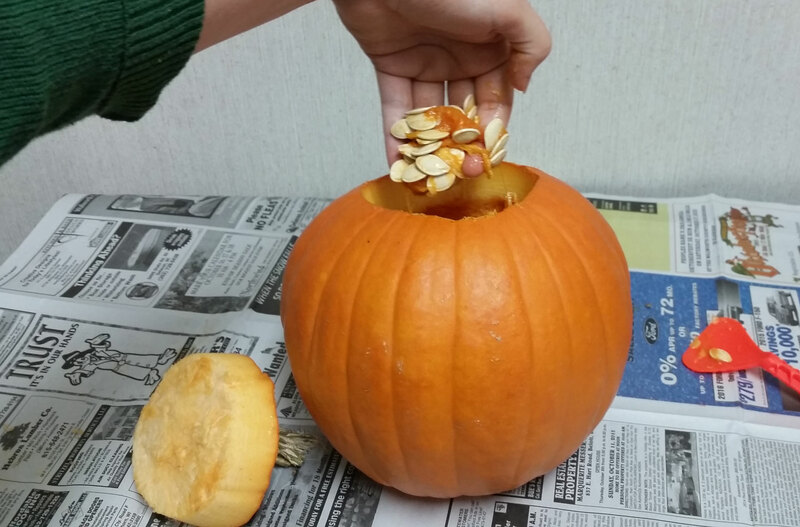 Roll your sleeves up and remove all of the pumpkin’s insides! 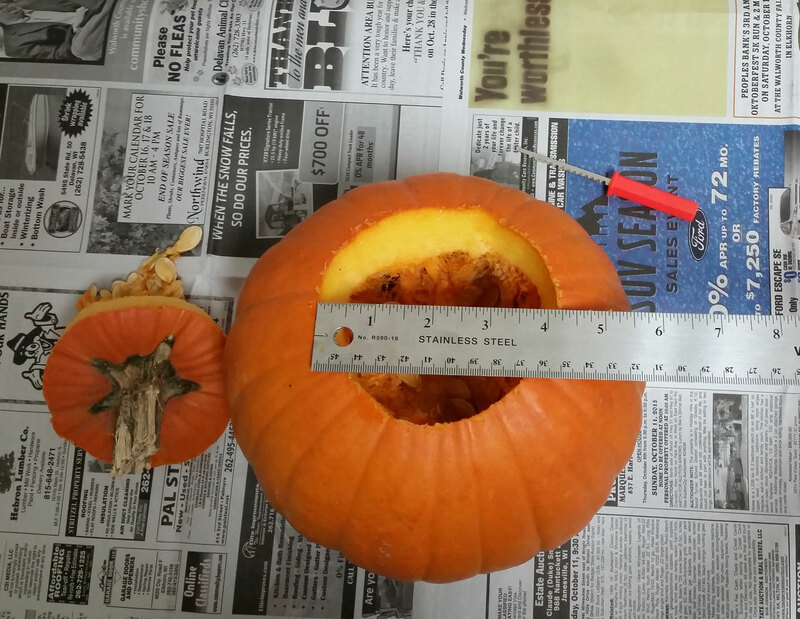 Determine the face side of your pumpkin and scrape the inside wall of that side of the pumpkin. 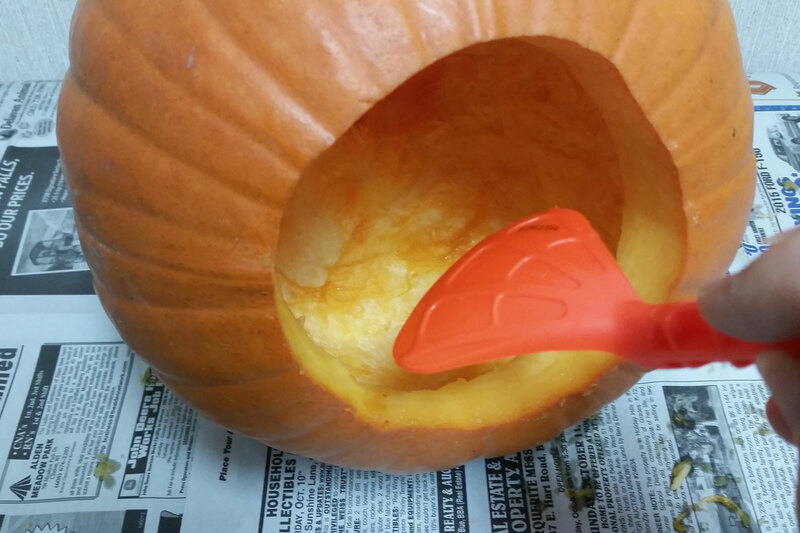 Drill a small hole in the face side of your pumpkin. Or, tap on a screwdriver with a hammer to create the hole. Insert the shaft of the clock movement through the front hole, and assemble the mounting hardware on the movement. Attach the clock hands, set the correct time, and then insert the battery. Optional: Stencil numerals on the face and paint, or attach stickers. Or leave the face blank, it’s up to you! Super cute jack-o-lantern idea. 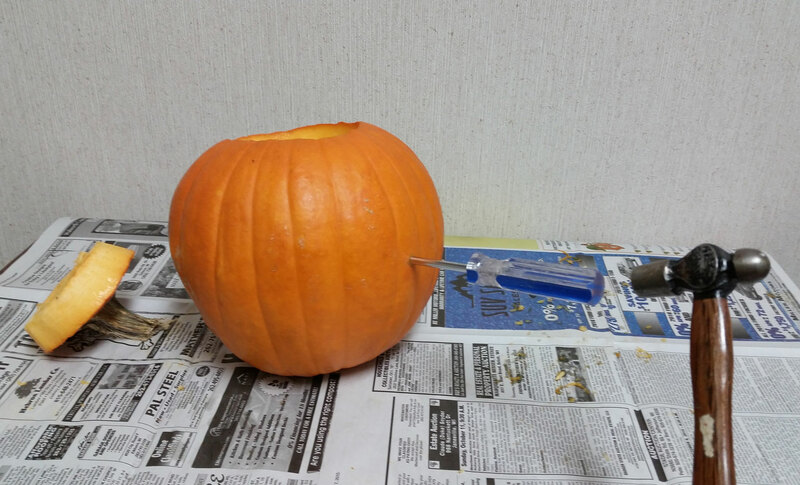 I’d be nervous about carving up the pumpkin face, because to light a fire inside the pumpkin might cause the AAA battery to overheat. Instead I might make carve very thin roman numerals where the numbers should be, and fill them with colored LEDs.